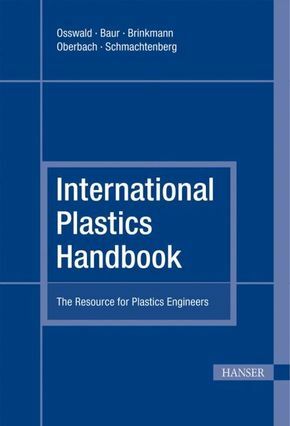 The International Plastics Handbook provides everything there is to know about plastics state-of-the-art, comprehensively compiled in a compact and well organized format. From material properties to machines, processing, and applications, the user will find detailed information that will allow the successful implementation of new materials and technologies. The book also provides a current list of trade names and suppliers, both in print and electronic versions. This concise, competent, modern reference not only explains the basic facts and interrelationships, but it is also a practical guide for engineers helping them succeed in today's challenging global industrial world.